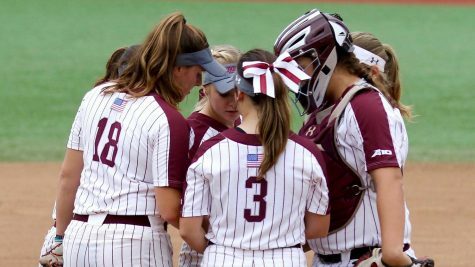 Fordham Softball is currently at 15-1 in the A-10, and they will look for the conference lead when they host UMass this weekend. (Courtesy of Fordham Athletics). 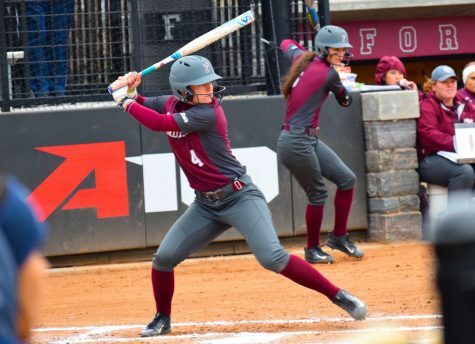 Fordham softball won five games over the past week, including a weekend sweep over Saint Louis (Courtesy of Fordham Athletics). The Rams have been dominant since the regular season began in late March; they have 18 wins in their last 20 games, including 12 straight. 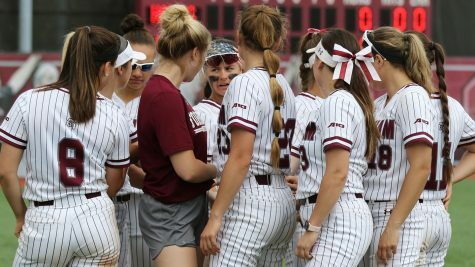 Fordham improved its overall record to 27-17 and its Atlantic 10 record to 15-1 this week, with victories at home against St. Bonaventure and on the road against Saint Louis. 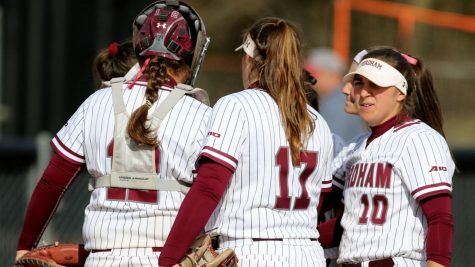 On Wednesday, April 18th, Fordham hosted a doubleheader in which they earned two wins over the Bonnies. 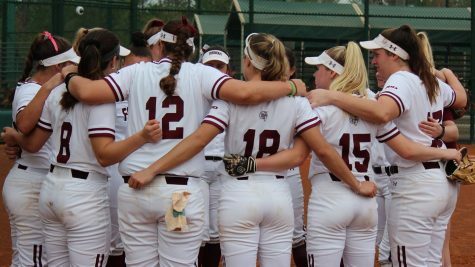 In Game one, the Rams’ offense proved to be too overpowering, as they took down their A-10 foe 8-0 in six innings. 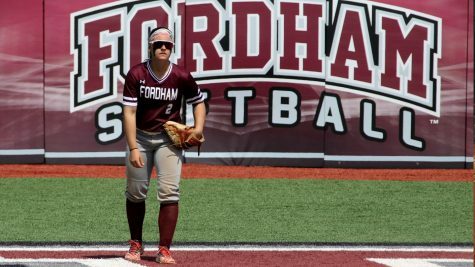 Junior Kylie Michael drove in two runs, and Fordham capitalized on St. Bonaventure’s miscues to plate three unearned runs on errors, wild pitches and walks. Sophomore Madie Aughinbaugh tossed a complete-game shutout, scattering six strikeouts and five hits over six scoreless frames. 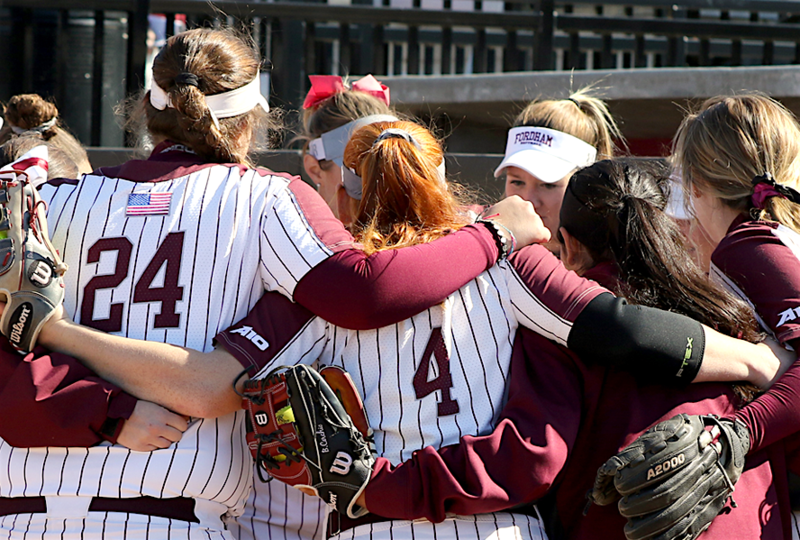 In Game two, Fordham emerged victorious once again, this time by a score of 4-1. Sophomore Skylar Johnston blasted a two-run home run in the third inning. She and junior Chelsea Skrepenak smacked solo shots in the fifth to support freshman Paige Rauch’s complete game performance. Over the weekend, the Rams swept the Billikens in a three game set in St. Louis. Despite falling behind in the first inning of Game one, the Rams tied the game in the fifth, thanks to a bases-loaded walk from senior Madi Shaw. In the sixth, they rallied to take the lead and they would not give it up again. Junior Deanna Burbridge reached base on a sacrifice bunt fielder’s choice that allowed Aughinbaugh to score. Rauch tagged a double to left field to bring in graduate Lauren Quense, and Burbridge crossed home plate on a sacrifice fly from Skrepenak. Aughinbaugh held off Saint Louis over the final two frames to earn a 4-1 win and push her record to 12-6 on the season. Later on Saturday, the Rams won again, downing the hosting Billikens 6-2. 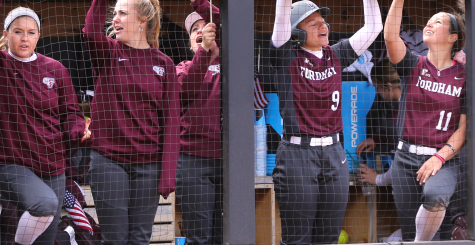 Shaw’s first-inning two-run homer to center field and Rauch’s second-inning two-run single to right field gave Fordham a lead it would possess for the entire game. Michael and Quense each added runs with RBI groundouts later in the contest. Rauch pitched all seven innings, allowing seven hits, a walk, a hit batter and two runs while fanning five hitters. 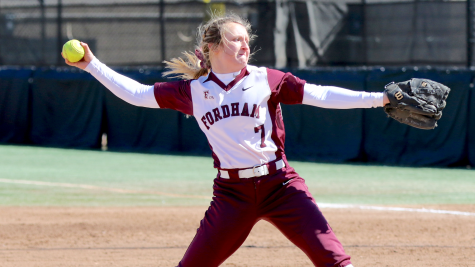 On Sunday, Fordham brought out the brooms for an 8-5 victory in a back-and-forth affair. Rauch led off the game with a round-tripper to right center field, and Shaw tacked on two more runs three batters later by sending a shot over the wall in center. 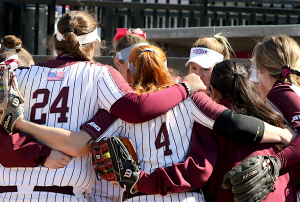 In the fourth, Skrepenak singled in Quense; in the fifth, junior Jordy Storm delivered a two-run double and in the seventh, freshman Brianna Pinto added two insurance runs on a single to center field. 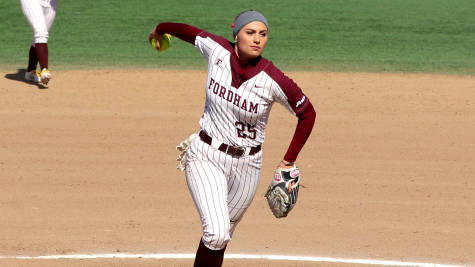 In the circle, Rauch improved her record to 13-1, pitching four scoreless innings in relief of Quense, who gave up five runs in a starting appearance that lasted three innings. 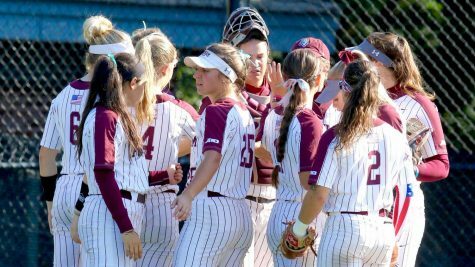 Fordham will host Delaware on Wednesday and Massachusetts this coming weekend. Delaware holds a record of just 11-30 on the season, while UMass holds a 28-12 record and maintains its place atop the A-10 by a miniscule margin over Fordham, with an undefeated 16-0 mark in the conference. The conference lead will be on the line this weekend at Bahoshy Field when the two teams clash.